As we previously announced, Animal Crossing: Pocket Camp would be receiving a big update in the near future, and that update has arrived. Read below to see what the update added! 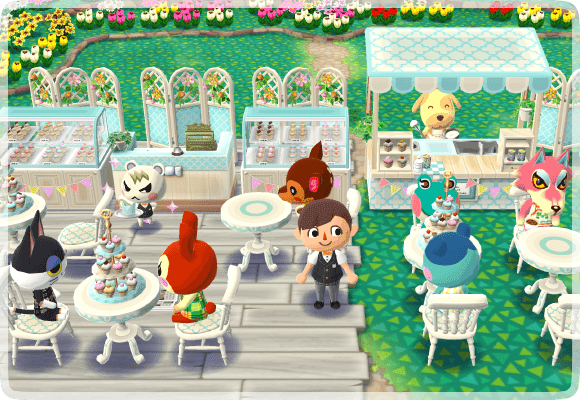 The Fortune Cookie Shop is now open in Market Place! Fortune cookies give you furniture and clothing items when you eat them. The rarity level of the items you can get varies based on the number of ☆s the cookie has! Cookies will be switched out every once in a while, so make sure you check back often! You can also get fortune cookies as gifts from your villagers. Fortune cookies give you furniture and clothing items when you eat them. 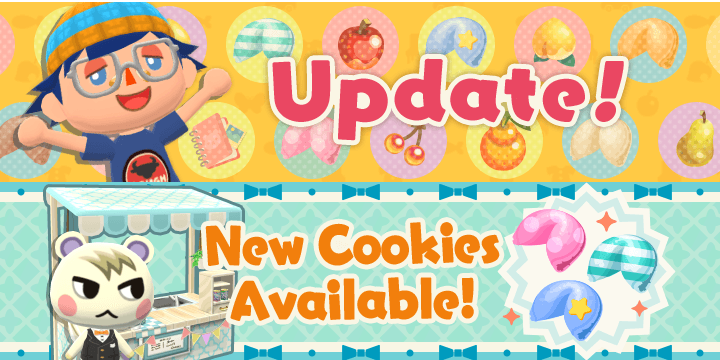 The rarity level of the items you can get is determined by the number of ☆'s the cookie has! The shop carries various different types of cookies. Here's a preview of what's available! 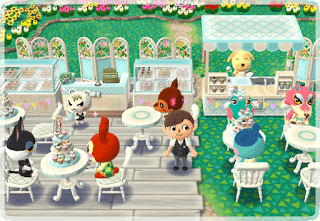 Introducing Marshal's pastry cookie, which includes many cool pastry-shop items that are perfect for spring! 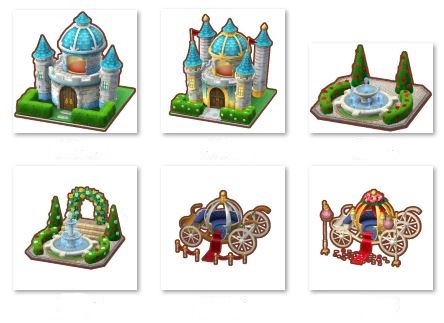 The featured furniture item is the pastry-shop kitchen! By getting this item and fulfilling the animals' requirements, you can view a special memory starring Marshal and Goldie. Introducing Rosie's pop-star cookie! 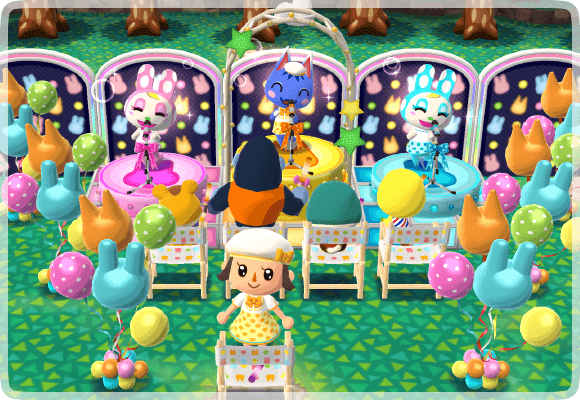 Now the campsite's pop stars can take to the stage! The featured furniture item is the yellow pop-star stage! 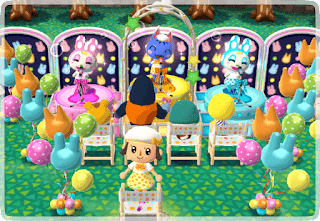 By getting this item and fulfilling the animals' requirements, you can view a special memory starring Rosie, Francine, and Chrissy. 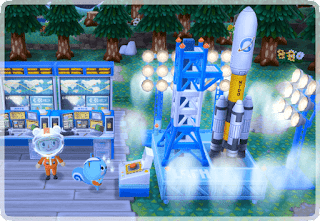 Introducing Filbert's rocket cookie—featuring spacefaring items overflowing with the spirit of adventure. The featured furniture item is the rocket launchpad! By getting this item and fulfilling the animals' requirements, you can view a special memory starring Filbert and Kid Cat. For each cookie you obtain with Leaf Tickets, you will earn one stamp! Once you’ve earned 10 stamps, you’ll have earned a full stamp card. 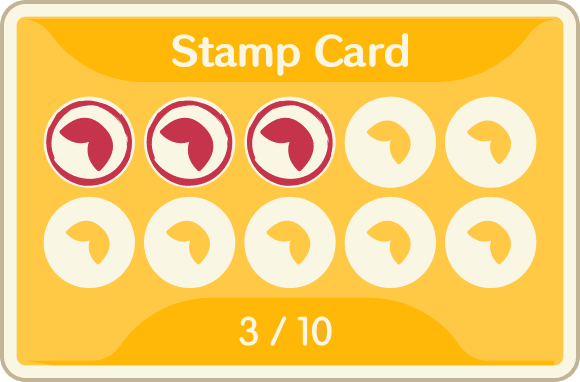 You can trade stamp cards in for a variety of items, depending on how many stamp cards you have. You can trade them for items you can normally get only from fortune cookies. Visit the Fortune Cookie Shop to trade in your stamp cards! You can trade your stamp cards for items that appeared in past events too! First off, the Holiday 2017 items are now available. 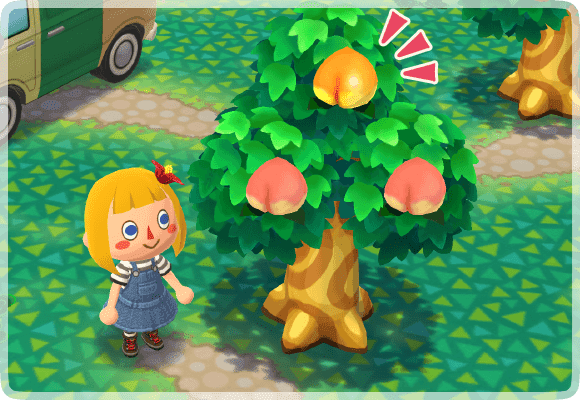 You can now find perfect fruit growing on fruit trees! 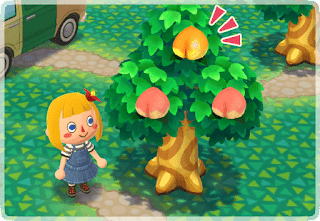 The fruit lovers in your campsite will rejoice! 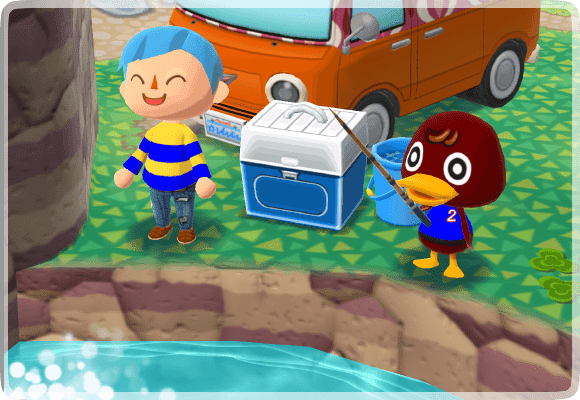 New bugs and fish will now appear around Sunburst Island, Saltwater Shores, and Lost Lure Creek! 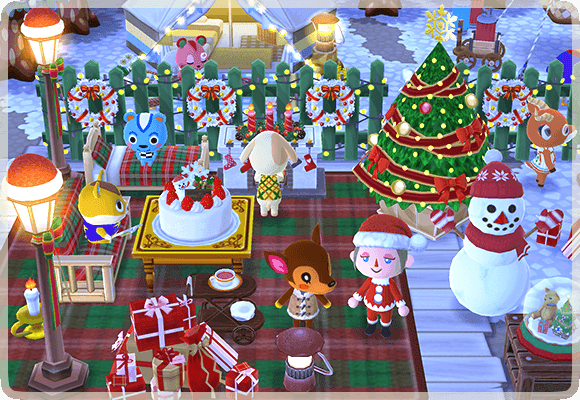 The maximum amount of furniture and clothing you can have has been raised from 1,000 to 1,500, new push notifications that announce the current in-game situation were added, a bundle of 2,500 Lead Tickets was added, an issue causing the game to restart in Lost Lure Creek and other areas when playing on iOS devices was fixed, the screen display was slightly adjusted, and other "minor issues" were addressed. As an apology for the downtime during the maintenance, players are also being given 20 Leaf Tickets. But of course, it wouldn't be a complete update without some sort of datamine. The below information does contain minor spoilers, so feel free to stop reading if you're not into that. As we've known for a while, an new type of essence has been added to the game, known as the Elegant Essence. Alongside this essence, the villagers Colton, Julia, Muffy, Pierce, Tia and Whitney were added, as well as a few new amenities. Brewster has also had his data added into the game, so something involving him (likely similar to Celeste's Telescope) is sure to pop up sooner or later. For an update this big, most of our information was copied from the official announcement on the Pocket Camp website. If you wish to check it out yourself, click the links below. As always, be sure to follow our Twitter and Tumblr to keep up to date with the latest Animal Crossing news!